I was only 10 years old when The A-Team first aired on television, but very quickly it became my favorite show - perhaps of all time! 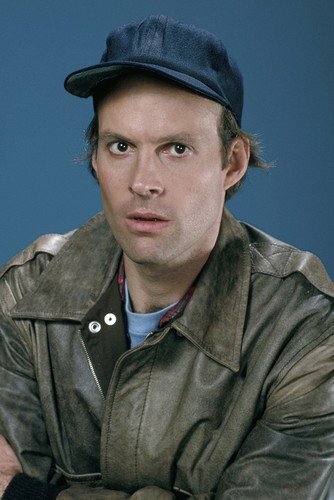 And the main reason I was such a fan was because I was immediately captivated by the character of Captain "Howling Mad" Murdock, portrayed by the incredibly talented actor Dwight Schultz. Murdock was my "personal hero" all through my pre-teen and teen years, and Dwight easily the first actor of whom I became a major fan. Through the years I've continued to follow Dwight's career and other roles, notably that of Reginald Barclay on Star Trek: The Next Generation and Star Trek: Voyager. I've had the pleasure to meet Dwight at several conventions and discover what a delightfully intelligent and charming person he is in "real life" as well as being a truly gifted actor. On this page you'll find my small tribute to Dwight Schultz: a collection of links and basic information about his background and roles, where to find and buy Dwight Schultz videos and collectible merchandise, and a little bit about my convention experiences meeting Dwight. You'll also have the chance to "sound off" on some fun polls and debates about Dwight's roles, the original A-Team vs. the A-Team move, and much more. So if you're a long time A-Team fan, why not stick around and learn some more about the man who brought "Howling Mad" to life? 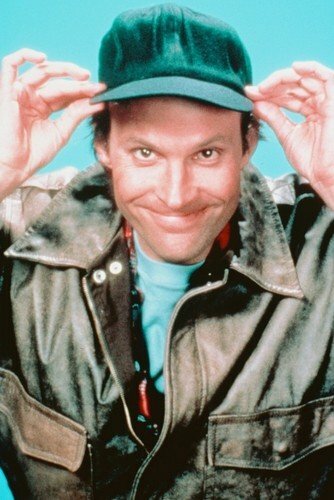 Image: Dwight Schultz on The A-Team. Poster available via Amazon below. 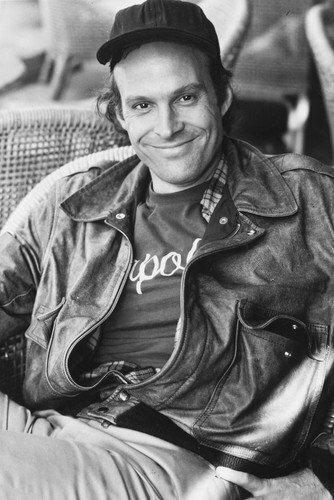 William Dwight Schultz was born on November 24, 1947 in Baltimore, Maryland. His father was a postman and his mother a telephone operator. An only child, he was fascinated with audio and voices from an early age, as well as an avid fan of television and film. He went to Calvert Hall College High School and then obtained a B.A. degree in Theatre Arts from Towson State College in Maryland. By the age of 19 he was already a professionally employed actor. In 1969 Dwight, along with Lynn Summerell and Jurgen Bohl, formed the Baltimore Theater Ensemble. For several years the Ensemble staged numerous works and productions, building a solid reputation within the community. When the Ensemble folded, Dwight continued acting in regional theater around the United States. Eventually he moved to New York City and while struggling to find acting gigs obtained work as both a waiter (as so many actors do) and in pest control! In 1978 he landed the lead role in a production of “The Water Engine”, which eventually moved to Broadway – Dwight’s debut in the legendary theater district. In the early 1980s Dwight decided to make a stab at screen acting, landing small guest parts here and there in series such as “Hill Street Blues” and “CHiPs”. He auditioned for and got the role of Murdock in The A-Team in 1982. Interestingly enough, he was told during the filming of the pilot that his character would be written out – the “Powers That Be” were uncomfortable with his wacky, intense performance. Yet when the test audience results came back wildly enthusiastic for Murdock, his character was written back in to the series. The A-Team enjoyed a successful 5-year television run, however when the series ended in 1987 Dwight found it difficult to obtain new work. There had been backlash against the series and its stars from Hollywood – notably for their political views and the Republican/pro-military themes of the series. But after working with Whoopi Goldberg in 1990′s “The Long Walk Home”, she got him the role of Reginald Barclay on Star Trek: The Next Generation. Indeed, his character of the anxiety-ridden, holodeck-addicted engineer Reginald Barclay introduced Dwight to an entirely new generation of fans, and the character continued on to appear in several episodes ofStar Trek: Voyager as well as the film Star Trek: First Contact. Dwight continued to make guest appearances in numerous television series such as Babylon 5 and Stargate: SG-1. He also appeared in quite a few made-for-tv movies throughout the 1990s, but since 2001 has primarily become known for his voice acting work in numerous animated TV series and video games. Perhaps the most notable of those voice-acting performances was as Mung Daal on the acclaimed and popular Cartoon Network series Chowder. Dwight is outspoken about his conservative political views and for a time in the 2000s had his own satellite radio talk show, “Howling Mad Radio”. He has been a regular fill-in host for other radio talk shows including Michael Savage and Jerry Doyle. Dwight also has had a keen interest in the past in UFOs and UFO research, and frequently appeared on Don Ecker’s radio program “UFOs Tonite!” in the 1990s. Dwight has been married to actress-turned-therapist Wendy Fulton since 1983. They have one daughter, Ava, born in 1987. 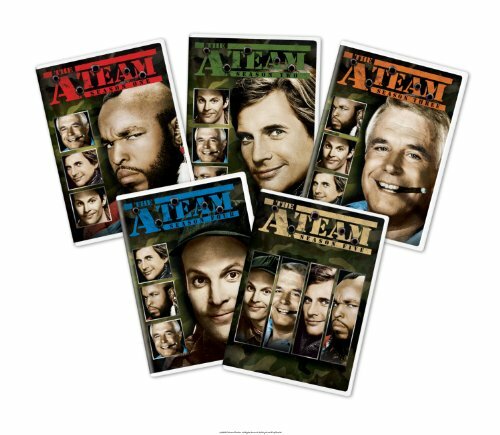 If you are a fan of The A-Team (and of course, of Dwight Schultz) then you definitely need to have the complete series on DVD. This set contains all 5 seasons (96 episodes in total) on 25 discs. 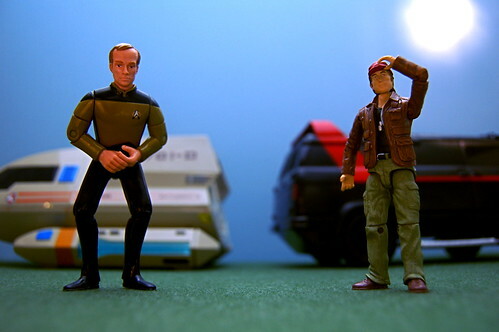 Which was the better Dwight Schultz character? Dwight has given us two truly memorable television characters - The A-Team's zany pilot Howling Mad Murdock, and Star Trek's nervous and stuttering Reginald Barclay. Do you have a favorite between the two? And why? 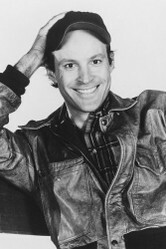 Here you can enjoy some fun interviews with Dwight Schultz, along with A-Team co-star Dirk Benedict. The two of them have made numerous convention and tv appearances together as they remain close friends today. Who was the better Murdock? But who was the better Murdock: Sharlto or Dwight? Cast your vote below! Who was the better "Howlin' Mad" Murdock? If you're a fan of Dwight's then you definitely have to check out this classic, campy horror film from 1982 - filmed not long before he would get his big breakout role on "The A-Team". Dwight plays a psychiatrist just brought on staff at a high-security mental hospital known as "The Haven". When the power goes out one night, several of the most dangerous - and violent - patients escape, and plan revenge against their doctors. 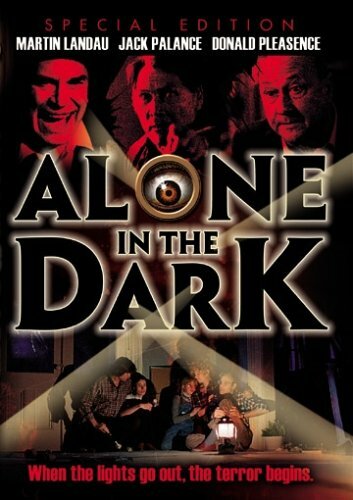 The film also stars Hollywood greats Martin Landau, Jack Palance and Donald Pleasence. If you love b-movies and horror films, this one is a must-see. It's genuinely scary at times with plenty of blood and nastiness. But there's also a touch of black humor and intelligence, and the film is overall elevated by the classy performances from Schultz, Landau, Palance and Pleasence. The DVD also includes a number of special features including a director interview and audio commentary track. 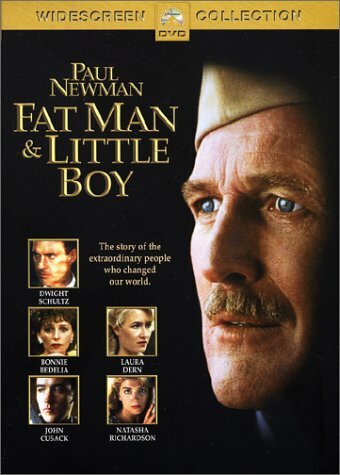 In 1989, Dwight Schultz starred in the historical drama Fat Man and Little Boy portraying a character quite different from "Howling Mad" Murdock: none other than the father of the atomic bomb, Robert Oppenheimer. 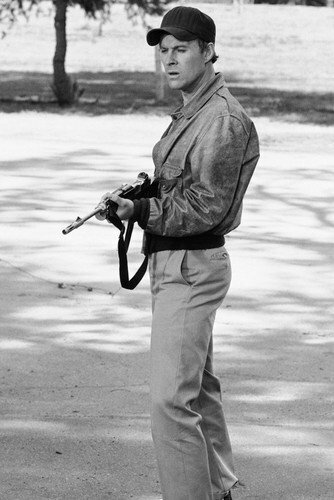 The film co-stars Paul Newman as General Leslie Groves, the military officer in charge of the operation who was often in conflict with Oppenheimer because of their differing political and ideological views. While the film itself received mixed reviews, I find it a truly powerhouse performance from Schultz - and wonderful to see him playing off such a legendary actor as Paul Newman. Rounding out the cast include John Cusack, Laura Dern, Bonnie Bedelia and Natasha Richardson as Oppenheimer's mistress Jean Tatlock. 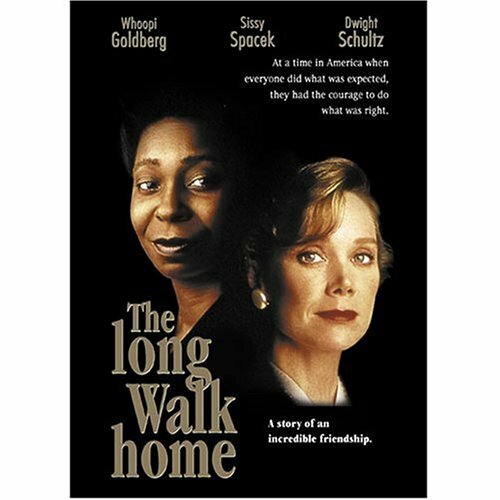 This underrated 1990 film stars Whoopi Goldberg, Sissy Spacek and Dwight Schultz in an examination of the civil rights movement in the 1950s in the South. It centers on the 1955 bus boycott in Montgomery, Alabama and how Spaceck's character - a typical white, affluent homemaker - comes to be aware of the reality of her housekeeper's life and the injustice she faces daily. Dwight's role is secondary to Spaceck and Goldberg in this film, but he still gives a fine portrayal as Spaceck's husband who does not share her views on racial equality. A woman who is a successful real estate agent, wife and mother is suddenly arrested for an action she took long ago to free herself of abuse. A PERSONAL STORY OF TRIUMPH AND HOPE.. STARRING VALERINE PERRINE. I’ve had the pleasure to meet Dwight briefly at several science fiction and media conventions in the past. In fact, I went to my very first convention, Shore Leave in 1995, specifically because he was one of the featured guests. I’d never been to a convention before and was so overwhelmed by the experience, it really sucked me in to fandom. I went with a friend who was also a major fan but whom I’d never met except on-line before. We were fortunate enough to get to talk to Dwight not just in his main signing events but earlier in the first day of the convention for some time before the crowds hit. I was an absolute nervous wreck at the time – here was the hero of my teenage years in the flesh! But he was gracious and funny and I left the convention more of a fan than ever! The following year, I made plans to attend a larger convention in Burbank with my same fan friend and a few others. I was actually in the middle of final exams for my first year of graduate school, but I couldn’t resist going to the con as supposedly both Dwight and Dirk Benedict were to be there, along with a slew of other scifi and media stars I wanted to see! Unfortunately the convention ended up being a bit of a mess and Dirk didn’t show, but Dwight did and I managed to see his panel talk, get autographs, and pose for a few photos (he remembered us from Shore Leave) which sadly didn’t come out thanks to my crappy camera! The author in her Murdock gear at a convention. In the following years I continued to follow Dwight’s work, especially his radio programs with Don Ecker on UFOs. Once or twice I called in and I couldn’t believe that Dwight remembered me and knew of my A-Team website which I was actively running at the time (I still maintain an archived version of the site today.) In 2009, I was thrilled to find out Dwight and Dirk would be at Dragon*Con, a convention I attend as a dealer every year! They were wonderful together on their joint panel and I got photos taken with each of them separately – and then together in one of my favorite convention photos of all time! I hope to be able to catch Dwight at another convention one of these days, as he does continue to appear at them around the world, delighting his many fans and keeping the “Howling Mad” spirit alive. One happy fangirl (me) - with Dirk Benedict and Dwight Schultz! 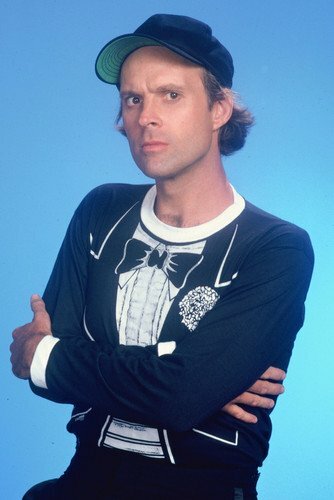 I hope you enjoyed this page about Dwight Schultz - and perhaps will check out some more of his work beyond The A-Team and Star Trek now. Have any last comments to leave? You're welcome to do so here! "That's the new Pavarotti," gushed Simon Cowell, as Britain's Got Talent played host to another 'Susan Boyle moment'.